The representative of Ukraine to the European Union Nikolai Tochitsky addressed the European Commission for explanations regarding the recent statements of its President Jean-Claude Juncker. August 29 at the conference of the EU Ambassadors, President of the European Commission Jean-Claude Juncker said that Ukraine today is not a member of the European Union and NATO. "At the moment we've got 60 wars ongoing in the world, 60 – and none in Europe if I disregard Ukraine, which is not 'European' in the sense of the European Union. I saw that my friend [Ukrainian President] Mr. Poroshenko a few days ago did say: 'Here is Ukraine, it is the European Union, and it is NATO. But for the moment it is neither one nor the other. 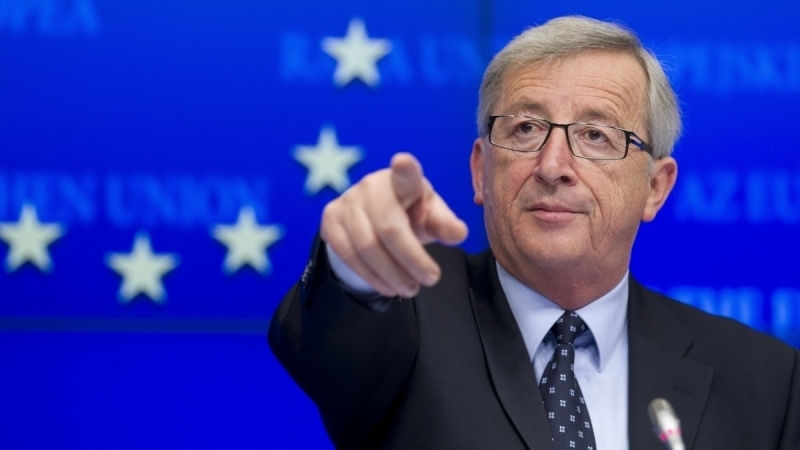 And I think we do need to bear that in mind," Juncker said. Ambassador Nikolay Tochitsky is concerned about the scandalous statement of European Commission President Jean-Claude Juncker concerning Ukraine, Tyzhden reported. “I officially addressed the European Commission for explanations about the recent statements of President Jean-Claude Juncker during the annual conference of Ambassadors in Brussels. I also drew attention to the actual words of Ukrainian President Poroshenko, who, speaking on the occasion of the 26th anniversary of Ukraine's independence, noted the invariability of Ukraine's strategic course for integration into European and Euro-Atlantic structures. The President’s alleged claims that Ukraine is already a member of the EU and NATO, does not correspond to reality. Therefore, I expressed my concern to my colleagues in the European Commission, because the words of the EC President were widely used primarily for propaganda in the Russian media with a view to discrediting Ukraine and our European integration course," Tochitsky said. The representative of Ukraine at the European Union believes that on the eve of the entry into force of the Association Agreement, such statements undermine the level of confidence and Ukraine's cooperation with the EU. The Ambassador recalled that the European Union provides "a large-scale political and financial support to counteract the aggression of the Russian Federation and notes the reforms that Ukraine is carrying out." "We must wait for official explanations, but we have expressed our concern," Nikolai Tochitsky noted.